Stainless steel, bronze, aluminum—even galvanized: They all have a place onboard. But what kind of TLC do they need? 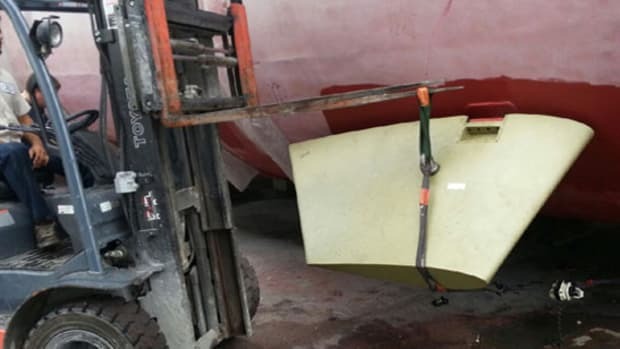 We think of modern boats, especially production boats, as made of fiberglass, but even if your boat’s structure is ’glass much of the rest of her is metal. Hardtops and radar arches, bowrails, cleats and chocks, electric horns and spotlights, anchors, the rigging that supports a trawler’s mast—all of it started out as some kind of ore. Fact is, without metal we’d be back in the boating Stone Age. (Does “treenail” ring a bell?) But while metal is often robust, whether it’s stainless, bronze, aluminum, or iron it needs a little TLC once in a while. Routine care is easy, so easy your kids can do it while you enjoy a cool drink on the flying bridge. 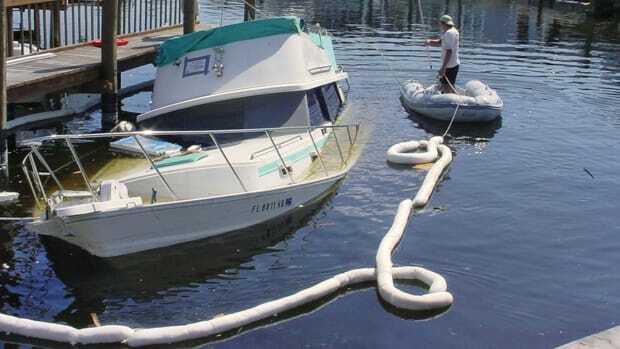 When the kids complain that cleaning and polishing hardware takes away from valuable social-media time, explain to them how lucky they are to live in the 21st century, wherein the primary metals on most yachts are corrosion-resistant stainless steel and aluminum. All it takes to keep these alloys happy is soap, water, polish, clean rags, and elbow grease. Washing metal may seem like a fool’s errand, especially to a kid, but it’s the single most important step in keeping the stuff up to snuff: Not only salt, but also dirt will interfere with either stainless steel’s or aluminum’s corrosion resistance, which both rely on the free flow of oxygen across the surface. Stainless steel for marine use is an alloy of low-carbon steel, chromium, (about 18 percent) and nickel (about 8 percent); this is the basic Type 304 stainless, sometimes called “18-8” stainless. Stainless steel fastenings are usually 18-8 alloy. 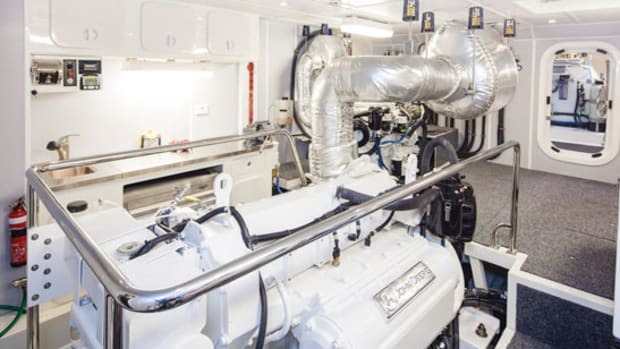 Type 316 stainless contains a bit more chromium and about 3 percent molybdenum for better corrosion resistance at the cost of a little strength; it’s used for deck hardware and underwater applications. 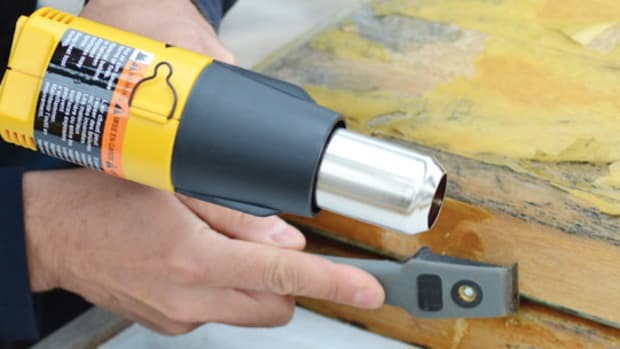 But whatever the alloy, it relies on oxygen combining with the chromium to form a microscopically thin surface film of rust-resistant chromium oxide. The oxide layer is easily damaged, but it re-forms as long as there’s oxygen present. If the oxygen is blocked—for instance, by encrusted salt, dirt, or a combination of the two—the oxide layer can’t regenerate, and before long the surface shows tarnish. If left untended for a long, long time, the stainless will corrode away, more likely on components that are out of sight, like fastenings for deck hardware: Water seeping under deteriorated bedding attacks the oxygen-starved stainless and eventually something gives. So, whenever you see tarnish stains on fastenings, investigate further. Rebedding the hardware and replacing the fastenings is easy. 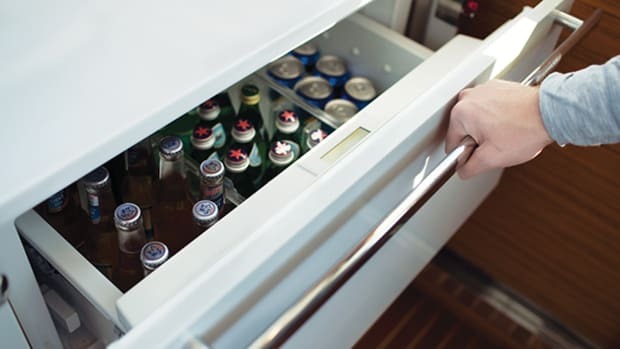 Maintaining stainless steel is even easier: Keep the salt and dirt off. Whenever you wash down, clean the stainless thoroughly with soap, water, and a sponge or rag—use a toothbrush to get into corners and angles. Remove any tarnish with an appropriate marine cleaner and polish (the chandlery is full of them), then polish again periodically. Even this rudimentary maintenance will keep your stainless steel looking great for years. Aluminum also protects itself by combining with oxygen to create a surface layer of aluminum oxide, and it’s often given a head start during manufacturing by anodization, basically controlled galvanic corrosion: The aluminum acts as the anode in an electrolyte bath, and when electric current is applied it picks up oxygen from the electrolyte to form an aluminum-oxide surface layer. 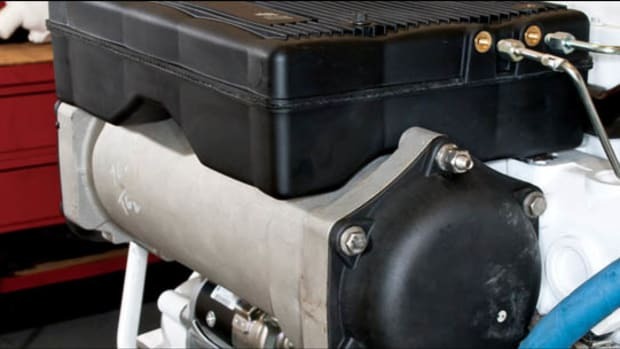 The anodized surface is corrosion-resistant, durable, and easily maintained. Color can be introduced during anodizing, or the metal can be painted afterwards; anodized aluminum holds paint very well. Or you can just leave it bare. Once placed in service, the aluminum oxide coating repairs itself by interacting with oxygen in the air, just like the chromium in stainless steel. And therefore it’s just as important to keep the metal clean so you maintain its natural corrosion protection. 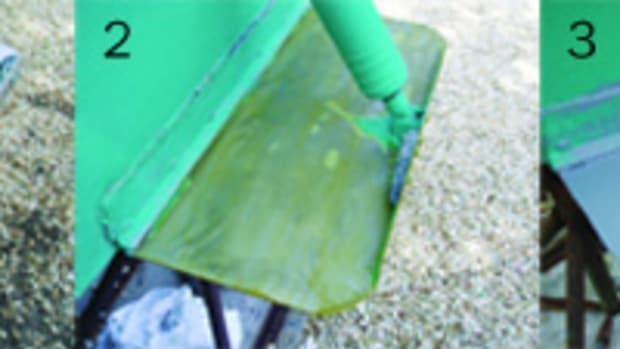 Washing your aluminum whenever you wash your boat will keep its anodized surface looking good for years, especially if you wax or polish it every now and then. Again, there are lots of products on the market, but many folks I know rely on Woody Wax (www.woody-wax.com), an easy-to-apply elixir that you just wipe on and let dry; you don’t have to buff it off, so you’ll be more inclined to use it often. 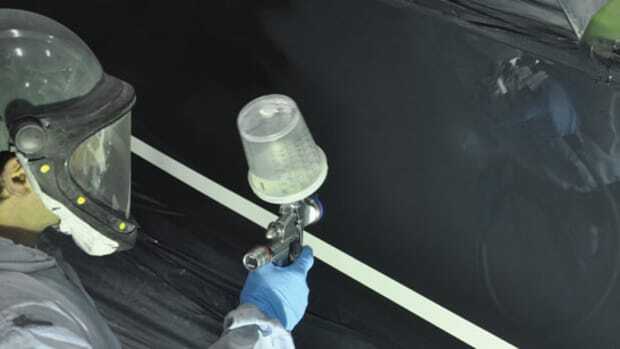 The 6061 aluminum alloy (more than 95-percent aluminum combined with small amounts of magnesium and silicon, plus traces of copper and chromium) used for most onboard aluminum rails, hardtop frames, arches, masts, and so forth—is prone to galvanic corrosion in the presence of salt, moisture, and, especially, stainless steel. 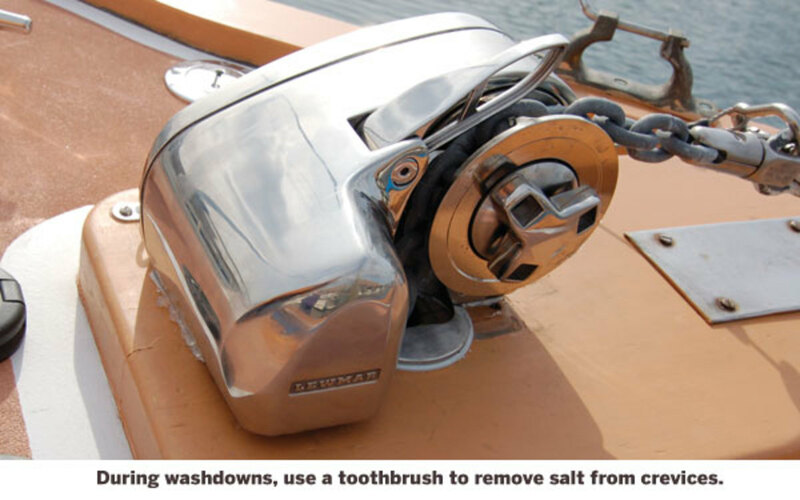 Ask any sailor who has stainless hardware on his aluminum mast, or aluminum hardware secured by stainless fastenings, and he’ll vouch for this: If you don’t keep the salt off, eventually the aluminum will corrode where it touches the stainless. The same can happen if, say, aluminum rail stanchions or the legs of a tower are fastened with stainless bolts. In a perfect world, the fastenings and hardware would be insulated from the aluminum by non-conductive bushings and pads, but rarely does that happen. Your first line of defense is to keep the salt off by regular washdowns, and deal with any corrosion right away, before it gets out of hand. While easy-to-maintain stainless steel and aluminum have nearly taken over modern boats, some traditional yachts eschew these upstarts and carry deck fittings made of what I consider to be the king of marine metals, silicon bronze. It’s 95 percent copper, alloyed with—you guessed it—silicon, with manganese and traces of other metals added to sweeten the pot. It’s strong and corrosion-resistant, excellent for marine hardware and fastenings, both above and below the waterline. Old-time boatbuilders used silicon-bronze screws to fasten the planks of first-class wooden yachts, and shops using traditional methods still do. Silicon bronze demands almost no maintenance—just wash it. You can polish it if you’d like, but I’d let it assume its natural finish, even though that’s a bit green. 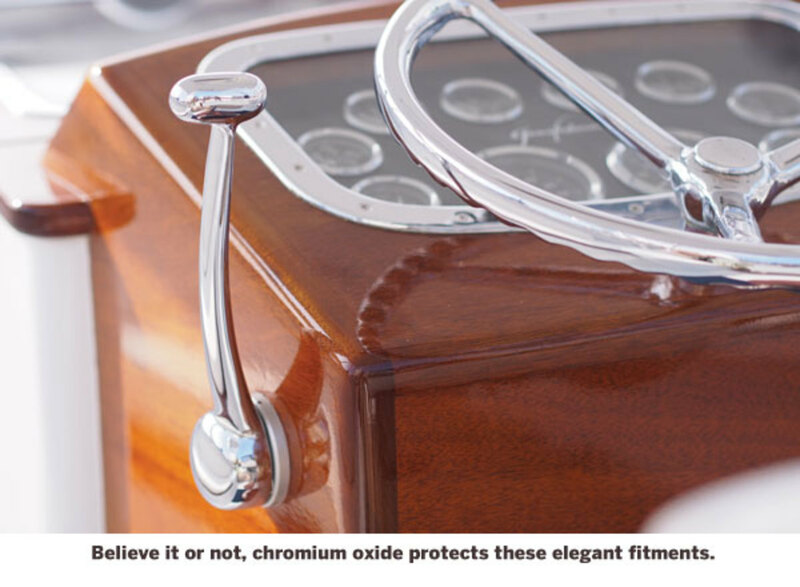 Or you can go the classic chrome-on-bronze route, the way yacht owners got gleaming deck hardware before stainless steel became common. First-rate chrome-on-bronze fittings put even high quality polished stainless steel in the shade. But you have to polish these things regularly to keep them shining, and figure on rechroming periodically. Also, silicon bronze costs a fortune compared to stainless steel and aluminum, and it’s not as easy to find as “modern” metals, but if you’re building a traditional gold-plater, she should have some bronze on deck. Note there are many different alloys of bronze suitable for marine use. Manganese bronze, for example, an alloy of copper, zinc (which makes it really a kind of brass), and small amounts of aluminum, manganese, and iron, is often used for deck hardware, propellers, and running gear. 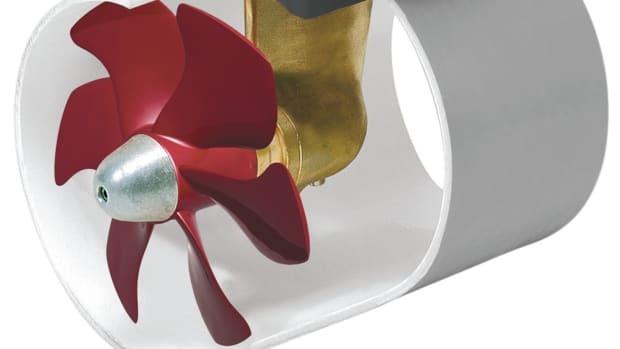 Finally, if you want to find a really long-lasting marine metal, next time you go to your boat take a look at the galvanized cleats on your dock. How old do you suppose they are? At my marina, I’d say decades, and they’re holding up fine. They have salt-soaked docklines wrapped around them for nine months of the year; they never get washed, other than by rain; and they cost less than any other viable metal around. No, galvanized steel doesn’t look very yachty, and it’s probably not a good fit aesthetically with the modern express cruiser, but if your boat’s a little on the rugged side, it’s a metal with mettle. Historians and archaeologists define our past by the metals folks used: The Mycenaean Greeks of the Bronze Age conquered Troy and rescued Helen; Vikings sailing through the late Iron Age beat Columbus to America by five hundred years. Maybe we’re in the Silicon Age now—in a thousand years we’ll be identified by our semiconductors. But whatever Age we’re in, metal is handy to have around, and deserves a little bit of care now and then. So get out some rags and polish and set your kids to work. Or swap out your stainless and aluminum for galvanized, and take the kids fishing instead.